Firstly, I would like to comment on the bag. It's very cute and glittery and that bling heart on the pouch is what stole my heart. But honestly, I would not carry it with me in my hand because the pouch is too childish and cheesy for everyday use. But I can keep it in my bag and carry it with me. I can fit many of my beauty products into this bag and carry them with me on the go. The pouch mentions the price, which is much less than the total price of the products. The price of the bag is Rs. 999 in India while if you buy the products separately, they would cost you around 1224. So by buying this bag, you are going to save Rs. 225 plus you get that super cute pouch! I am very excited about the Colossal Kohl in turquoise, which is basically an eye definer from Maybelline that lines like a Kajal and defines like a liner :D So, I am very excited about that and then the next thing that has captivated me is the Mascara. WOW! now that looks cute and it is washable so, I basically won't face much trouble in removing it. I don't know whether it would smudge but would let you know soon. I got the lipstick which I will try and review for you all. 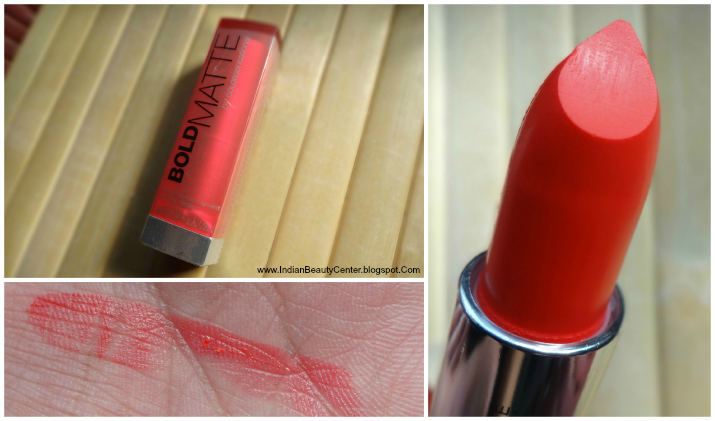 I have already read a lot of good things about this colorsensational lipstick and I am yet to try this one. I have already tried the Color show nails paints as many of you might already have. These nail paints are gorgeous and work like a charm. Do not chip for a lot of days and the finish is just awesome. Finally, the fruity jelly. I had tried another variant of this a year ago but did not like that one as it tasted sweet and the fragrance was too overwhelming. But I am quite curious to know what this would be like...Hope this one delights me this time. *InstaGlam Bag sent by brand for consideration. My review is honest. Pinky-promise! You can buy the pouch containing all the products mentioned in the post from Flipkart HERE. I got the pink one and I totally love this kit. Its worth buying.